DARPA’s Mobile Hotspots program is converting retired RQ-7 Army drones into wireless hotspots to provide Wi-Fi to soldiers in remote areas. The drones will be able to transfer data at one gigabyte per second — about the same connectivity of a 4G smartphone — to give troops the same communication capabilities, including access to tactical operation centers and mission data, that others in more central conflict zones have. 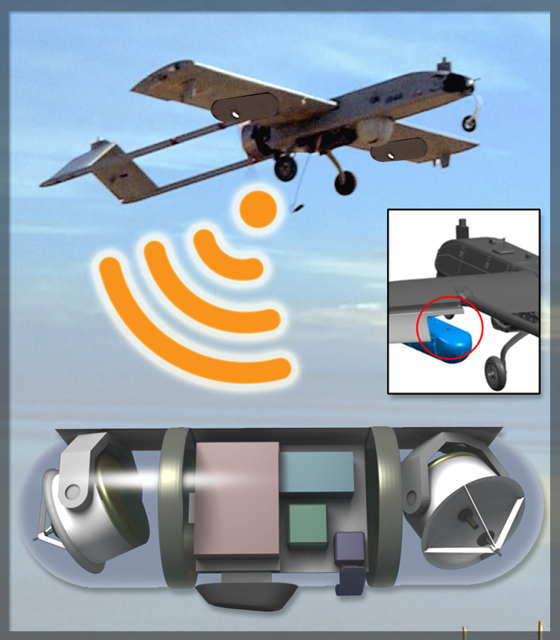 DARPA is retrofitting the drones with small Wi-Fi antennas. The antennas, which fit on the 11-foot-long, 185-pound RQ-7 Shadow drone previously used for surveillance, have special amplifiers that can boost the Wi-Fi signal. They also operate on an extremely high-frequency millimeter wave-band. These two features will allow the drones to fly higher, and most importantly, out of enemy detection. DARPA researchers developed a lightweight pod to carry all of the gear necessary to maintain the mobile hotspot for up to nine hours. The networking program takes into account topology to make adjustments to maintain connectivity strength. However, the drones may have difficulty during bad weather conditions, according to Wired. Drones have become a new interest for other companies interested in making Wi-Fi more accessible. Facebook CEO and founder Mark Zuckerberg launched the Facebook Connectivity Lab in March. As part of the project, researchers from NASA, Samsung, and Nokia are developing drones, satellites and lasers to increase Internet access around the world. For more information, see the DARPA press release. or visit the Mobile Hotspots program site.